The track is in the lower left under water next to the rock. Carnosaur track, probably Acrocanthosaurus a smaller relative of Tyrannosaurus rex. From the Cretaceous 113 million years ago. 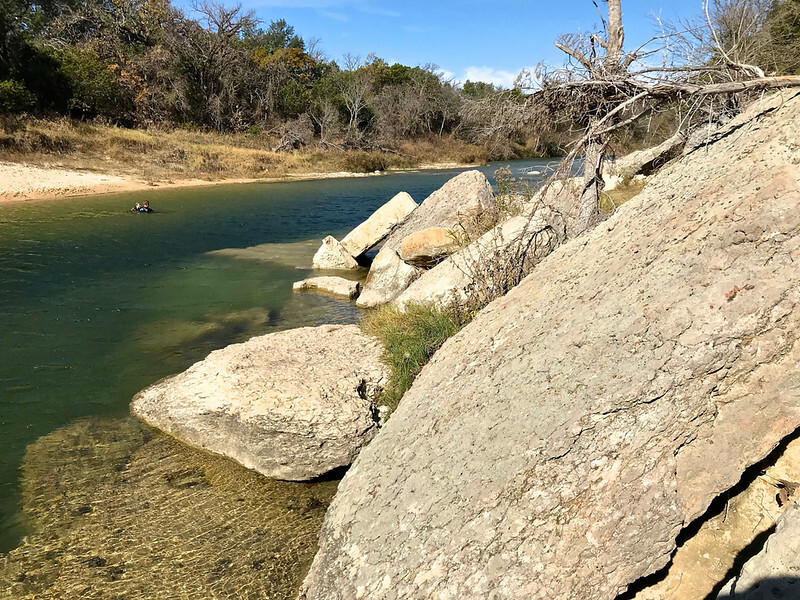 Note the two people in the water, Texas has a great state park system. I was in 8 of them on this short trip.